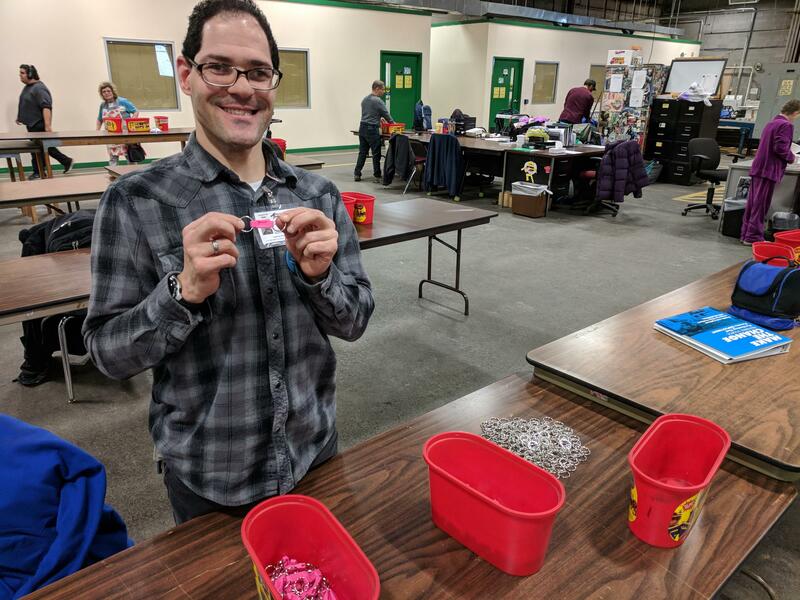 Gary Jones, Jr. assembles key chains at The Arc of Erie County workspace in downtown Buffalo. A group of advocates say a state law that helps ensure employment opportunities for people with disabilities is in need of an overhaul. Under New York’s Preferred Source law, when most public agencies need products or services, they’re required to purchase them from organizations that employ people with disabilities, the blind, and correctional services work programs. But advocates for people with disabilities say the law, which was established more than 40 years ago, no longer does enough to ensure equity. 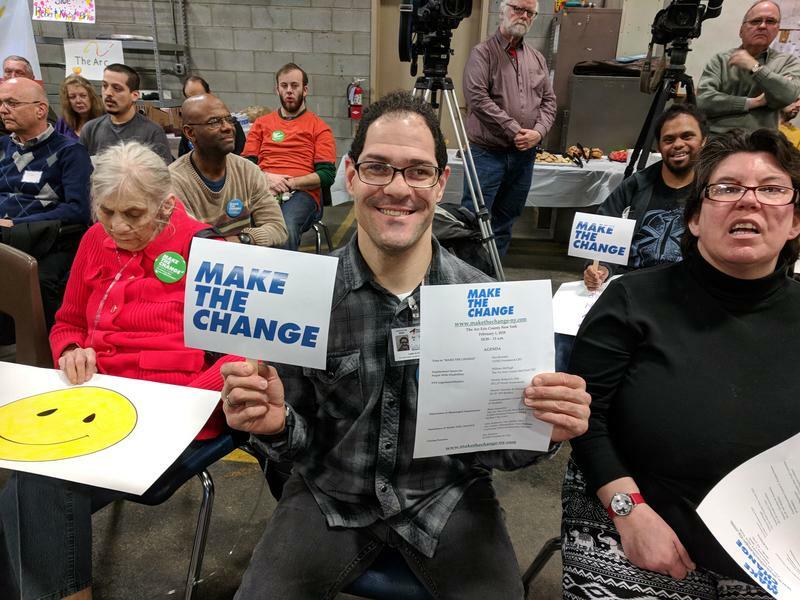 With a campaign known as “Make the Change,” organizations like The Arc of Erie County – an agency that provides support and employment opportunities for people with disabilities – are urging lawmakers across the state to update Preferred Source by signing a bill now sitting in the state Assembly. Under the proposed bill, changes to Preferred Source would include changes such as simplifying contract review and administrative processes, defining market price versus lowest price, and bringing back the ability for minimal subcontracting of work. Across the state, nearly 7,000 individuals with disabilities are employed through Preferred Source. 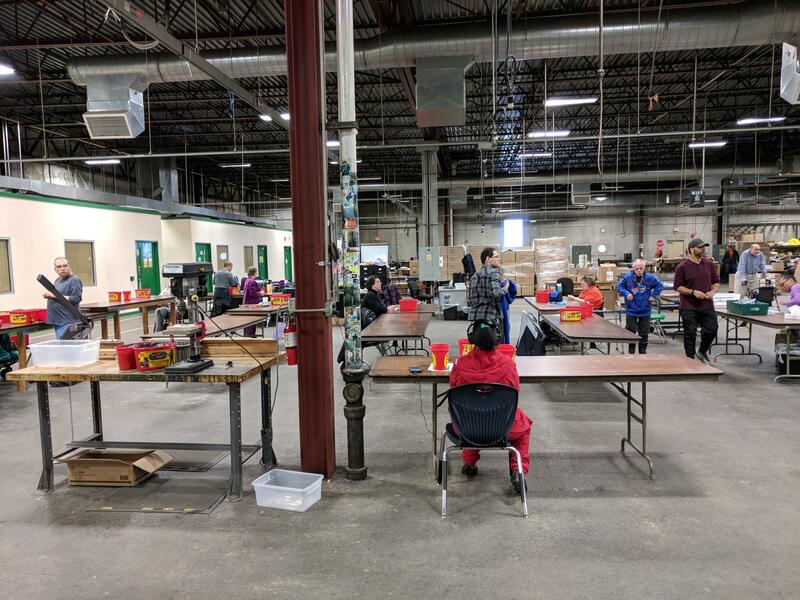 Right now, 70 percent of working-age individuals with disabilities across the state are unemployed – a number which Romano said equates to close to 1-million people. 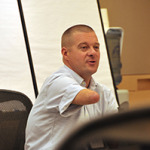 John Robinson, CEO of Our Ability, said updating Preferred Source is about empowering people with disabilities. He said, in addition to tax credits, they also bring economic benefits to companies, staying seven times longer in employment compared to workers without disabilities. 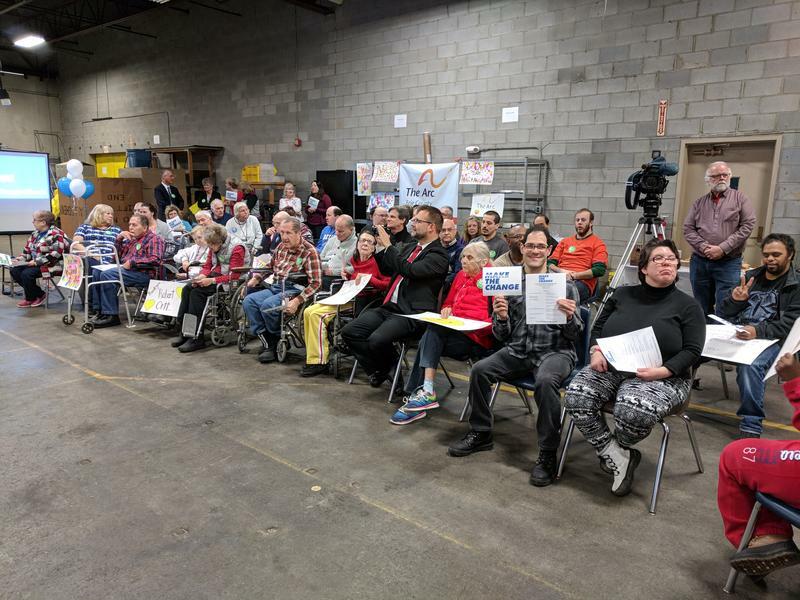 State Senator Robert Ortt, who co-signed an already passed Senate version of the bill to update Preferred Source told a crowd of workers with disabilities in downtown Buffalo that ensuring work for them is the right thing to do. Advocates say the proposed updates to Preferred Source change would have no negative financial impact on the 2018 state budget. Ortt and other lawmakers hope the bill will be passed by the Assembly and Governor Andrew Cuomo before the April 1 budget deadline. Basic life skills that many take for granted can often be challenging for people with developmental disabilities. John Robinson and Doug Hamlin are on the road today, biking more than 300 miles along the State Barge Canal from Niawanda Park to the State Capitol in Albany. The two men are trying to prove how people with physical disabilities can make difficult trips like this.